Are you looking to transform your home in time for Christmas? There's an easy way with long-term benefits. Just add a decorative glass window to your hallway, guest bathroom or living room! 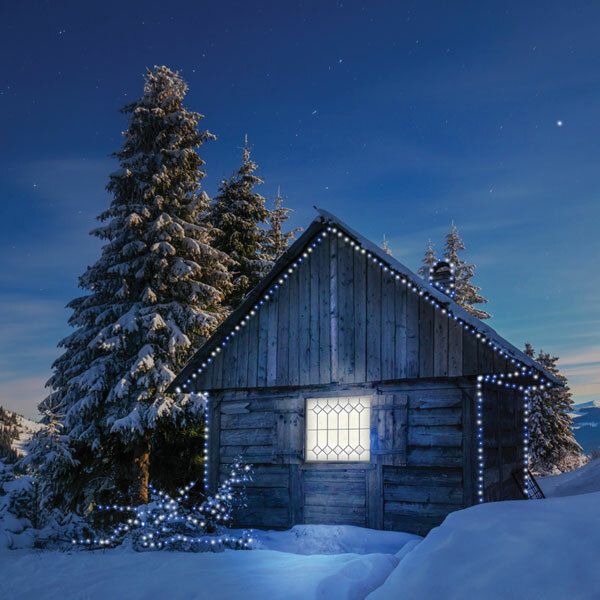 "All that sparkles doesn't have to be on the tree this holiday season," says Roger Murphy, president of Hy-Lite, a U.S. Block Windows Company. "Replacing a standard clear glass window with a decorative glass window is a simple way to upgrade the look of key areas throughout the home. "Imagine sunlight playing through bevels of cut glass to bring sparkling light into a foyer or dining room. Or, picture silk screened elegance giving your kitchen a completely new look. These are windows you'll love to look at every day of the year." Available in both fixed and operating styles, decorative glass windows are available to fit a wide range of small and large spaces in the home. An assortment of design styles are available, including Victorian, Craftsman, Wrought Iron and Spring Flower. The popular Home Designer Collection also offers four unique silkscreened options to homeowners: Baroque, Metro, Mission and Prairie style windows. "Adding a decorative glass window to the home is better than decorating your house for the holidays," says Murphy. "You gain privacy, curb appeal, and interior style elements all from one window replacement!" Designed to offer beauty to a room while preventing too-close-for-comfort neighbors to look into the house, privacy windows become the view for homeowners. Natural daylight flowing through these windows creates an attractive setting. And, operable casement, awning, slider and single hung units can easily be opened to encourage airflow in the home.